DAVID LE/Staff photo. 2/11/15. 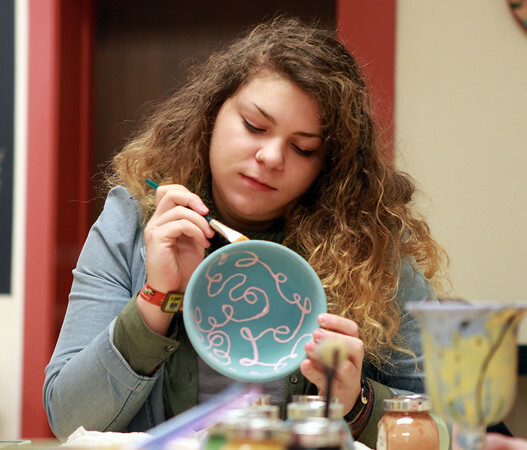 Gordon College sophomore Lily Greenberg brushes the outside of her designed bowl at Clay Dreaming Pottery Studio in Beverly on Wednesday evening.